At Google’s core is advertising, so it comes as little surprise that the company used its I/O developer conference today to announce a raft of changes heading to its various ad products. First up is Google’s new Universal App Campaigns for AdWords, which the company says will help advertisers reach a wider audience across Google’s Search and AdMob platforms, as well as on mobile sites, on YouTube and on Google Play. 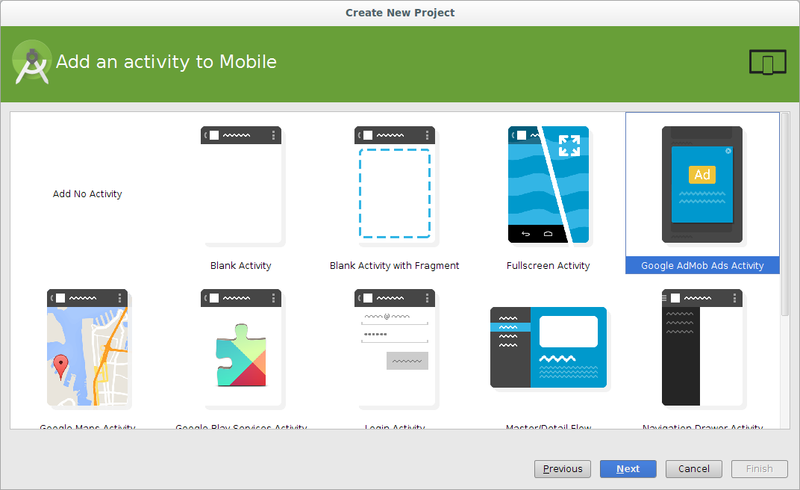 Universal App Campaigns can be set up directly in AdWords or from the Google Play Developer Console. “Just provide us with a few inputs about your app — what your ad creative will say, the audience you wish to reach, and how much you want to spend — we’ll do the rest for you. Behind the scenes, our ad creation and bidding engines will help maximize performance for your campaigns so you can spend more time building and enhancing your apps,” the company says in a blog post. 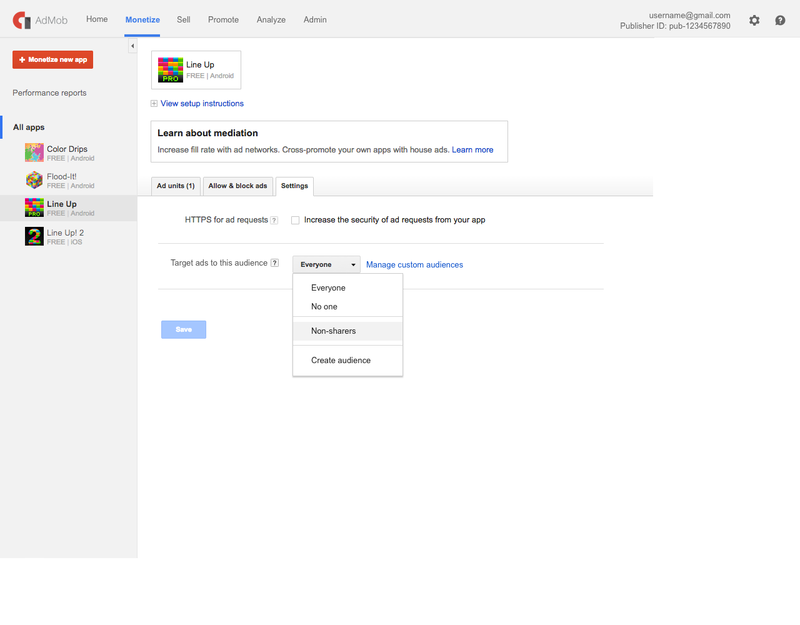 The feature will be available to advertisers in the “coming months,” Google added. 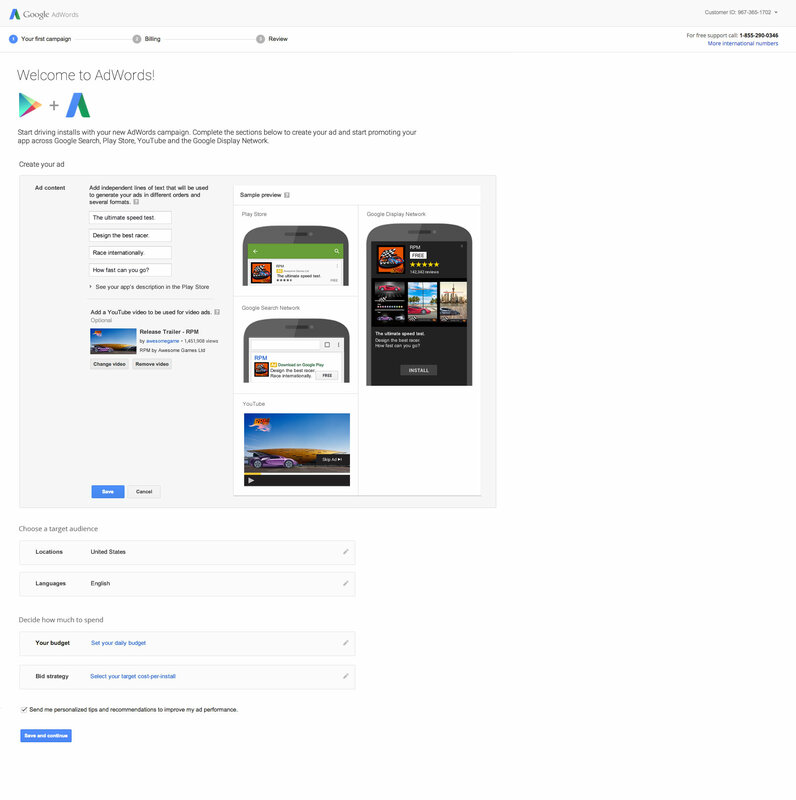 Alongside the AdWords changes, Google revealed a new analytics feature called Mobile App Install Campaign Attribution. Despite its deeply off-putting name, the feature promises that advertisers will get better insight into the performance of their ads. Following on from the launch of iOS conversion tracking last year, Google’s trying to build out the utility of its tracking features by bulking up the number of partners it draws data from. As such, from today, there are now more than 20 ad networks integrated, including inMobi and Millennial Media. “Data integration with these partners provides a comprehensive view of app value across networks based on the metrics developers care about (i.e., LTV and retention), helping you make better decisions on where to spend your advertising dollars. In the next few months, you’ll be able to “postback” your conversions to referring networks in order to optimize your traffic — all made possible with a single SDK,” Google says. On the AdMob side of things, Google announced an expanded list of ad network partners – now at more than 40, and including Tencent – and new tools to pinpoint the most valuable users to a company. One of those new features is available in closed beta from today inside the Audience Builder tool, which in addition to letting you segment users based on how they are using an app, also lets you define a list of specific users and only show ads to those people. You could use this to reward loyal users of your app by showing less ads, while showing drive-by users an ad each time they log on, for example. There’s also a new feature to support mobile app sales teams called AdMob Reservations.